To Serve and Protect is often used by many Police departments throughout America. Police officers are public servants or more precisely “Peace Officers”. However over the decades officers are hired who have no business carrying a gun, wearing a badge or being an authority figure. Worse when officers commit crimes they are rarely prosecuted or punished the same way they would punish non-police persons. Examples are shootings which amount to murder, beatings and assault by “peace officers all over America” who appear immune to equal and fair punishment. while 5 other officers were present and somewhat involved as accessories nothing was done to those officers. Imagine someone is being beaten to death and a peace officer stands by, worst stops others from helping. Now that is abuse of power and a crime. Whose the idiot who hires these monsters and then hides the truth from the public? 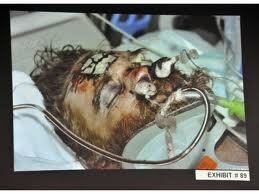 Thomas did nothing to deserve the beating and where it exposes the city and officers for horrendous crimes. 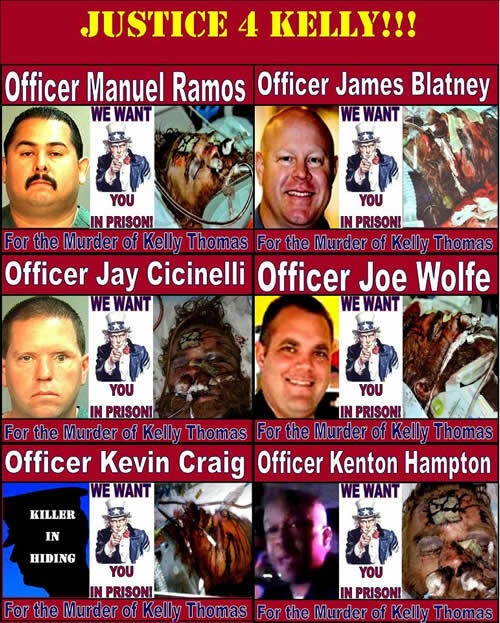 When Kelly Thomas was beat to death in Fullerton California it involved six peace officers who stood by while an unarmed, helpless, mentally ill man was beat to death. 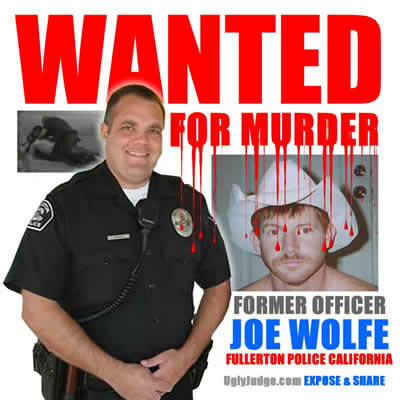 Police and government did everything to hide, stop and avoid prosecution and justice. 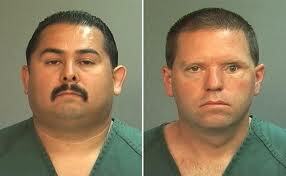 In fact there was a great deal of underhanded dealings by the city attorney and the mayor. Everyone should be held accountable and be charged as an accessory to murder.